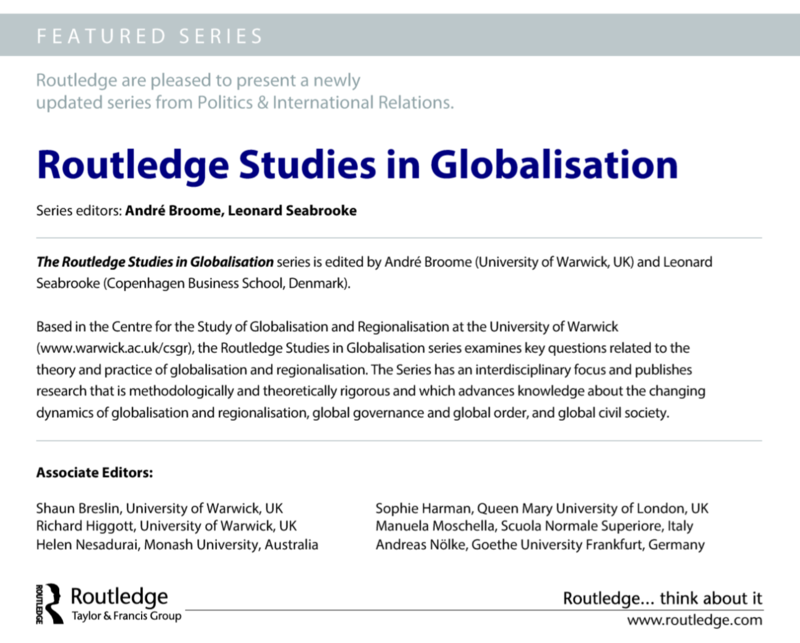 For two decades the Routledge Studies in Globalisation series has published leading research on the theory and practice of globalisation and regionalisation. The series editors invite prospective authors to submit manuscript proposals that will make significant advances to knowledge about the changing dynamics of globalisation and regionalisation, global governance and global order, and global civil society. Contact the series editors to discuss ideas for a manuscript or to submit a proposal.